Ready Brek – the Super Smooth Oat Cereal to Start Your Day! Ready Brek has always been a part of my life from very young when my mum used to make me a bowl for breakfast on a cold Winter’s morning before school. The lovely warm feeling in your tummy is the perfect way to set you up for the start of the day. Having teamed up with Despicable Me 3, Ready Brek is offering lots of chances to with prizes with codes inside each pack. My little boy had already requested for me to buy some after seeing adverts on television before we even received these boxes to try out! I’m more than happy to buy him some as the cold frosty mornings are upon us as it’s really important to ensure the children get a healthy breakfast at the start of the day. We do like our Ready Brek just as it comes out of the box for breakfast but are also fans of the chocolate variety – they even do honey or seriously oatey if you fancy them! Other than eating the Ready Brek for breakfast or supper we do like to bake with it and one of our favourite recipes that we make is Secret Ready Brek Cookies – chocolate Ready Brek with a hidden white chocolate square inside. Why not give them a try? Despicable Me 3 fans will love the new toys that are out now – perfect stocking fillers for Christmas. Firstly the DVD of the movie which my children loved watching again after seeing in the cinema after it was first released. I just know my little boy will watch it again and again checking out Grue’s latest tricks and adventures. He was also rather thrilled with the Mineez Fizz ‘n’ Surprise Submarine which he took in the bath with him. It’s like a bath bomb that fizzes on the outside and out pops a little plastic submarine complete with two minion figures inside. This is now his favourite bath toy so we have minion adventures every night in the bathtub! Overall I think Ready Brek and Despicable Me 3 make a great team and it’s definitely appealed to my children. What’s not to love? A super tasty warming breakfast along with fun and games with the minions! All reviews are my own and my family’s opinions and we received the product along with payment in order to write an honest review. Mornings for me are early, hectic, with everything in the house demanding my attention from the curtains wanting opening, the kitchen blinds being pulled up, the pack lunch boxes filled up, the children wanting bowls of cereals, drinks of milk, clothes for school, the list goes on, then I on the other hand need to get washed and dressed for work leaving me little time for breakfast. I normally eat on the go, a mouthful of cereal, open a curtain, another mouthful, pack the lunch boxes, another spoonful, wipe down the table… you get the gist, it’s the only way I can get out the house by 7.45 in the morning, without getting up ridiculously early. These days I never set an alarm, I’m usually woken to a three year old saying “Mummy, please change me” *filled pull-up alert!!*. 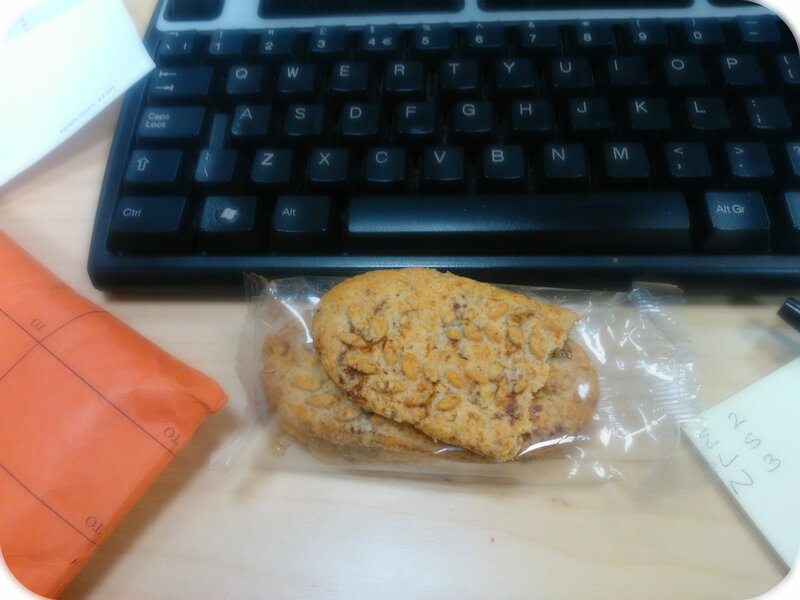 Anything to save time for me is a bonus and belVita have come up with just that. A selection of slow release breakfast biscuits made with 5 wholegrains. They come in individually wrapped packs containing several biscuits to see you through the morning with a slow release of carbohydrates to get your day off to a good start. I tried the plain belVita biscuits in Milk & Cereals and Fruit & Fibre varieties and I can verify that both are truly delicious. I had already been a fan of the Milk & Cereals variety but have now widened my choices. These both come in wrapped packs of four biscuits which is plenty to keep you going through the morning, they are crunchy, tasty and very moreish. 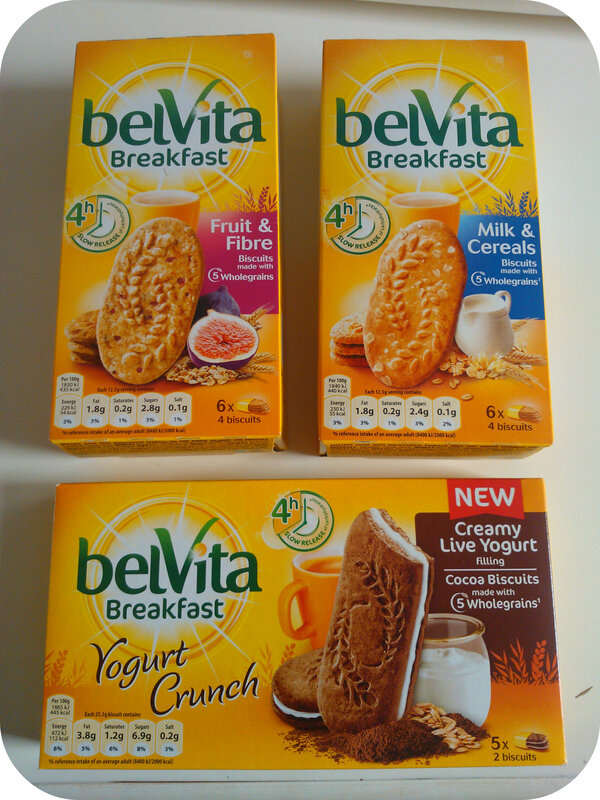 There is also a new variety of belVita called Yogurt Crunch with consist of two biscuits sandwiched together with a creamy live yogurt filling. The biscuits are cocoa flavoured which immediately caught my eye being a bit of a chocolate fan, but I have to be honest and say I wasn’t overly keen on these. Something about the overall flavour just didn’t do it for me, although the husband enjoyed them. All the belVita biscuits are rich in cereals, a great source of fibre, made from wholegrains and contain vitamins B1 & E along with magnesium and iron. The yogurt ones benefit from calcium also. These are perfect for an on the go breakfast along with a piece of fruit and a drink, in fact if I’m a bit pushed for time in the morning, I just throw a pack into my bag along with an apple to take to work and eat them at my desk, I can spread them out across the morning and it sees me through till lunch. 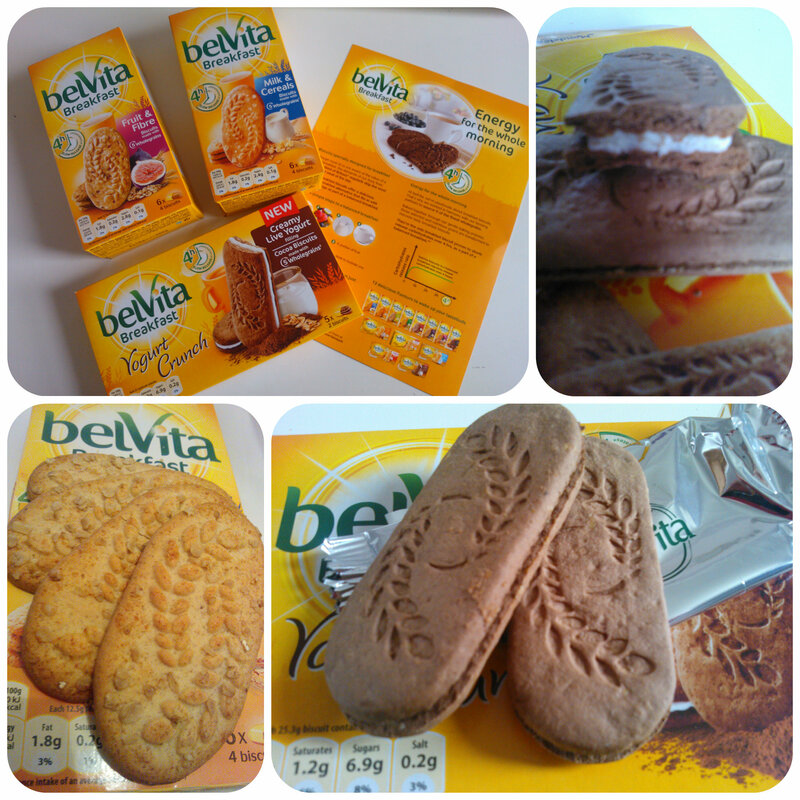 I would definitely recommend belVita biscuits for a quick breakfast, they are handy to have in the cupboard and can be eaten on the go. I do however enjoy my Weetabix when I manage the time so being organised is a key thing in the mornings. Make the pack lunches the night before so that it only takes 5 mins in the morning to take them out the fridge and put them in the relevant boxes. Lay out all the morning clothes so once everyone’s washed they know where to find their clothes and what they are wearing. Ensure school/work bags are ready, have everything in them to take in the morning. Get the cereal bowls and spoons out so that it is just a cast of pouring the cereal and milk in the morning. 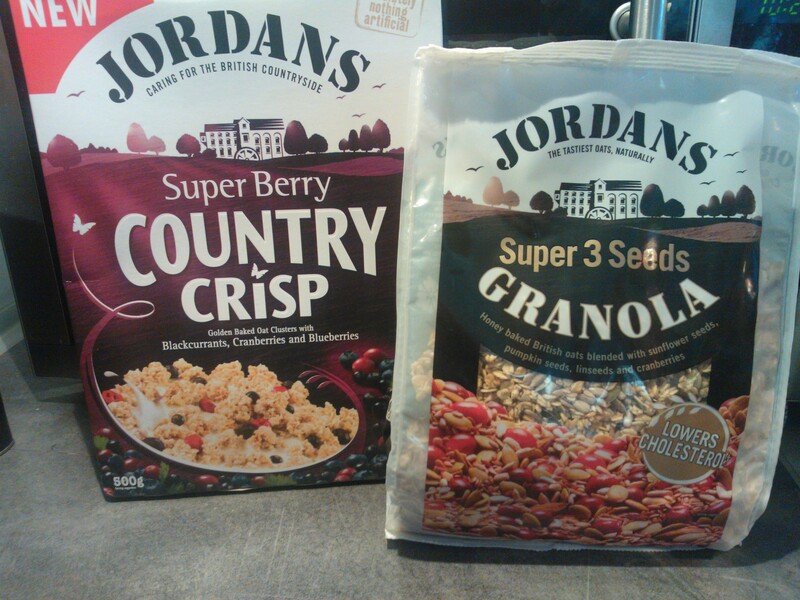 Jordans are a brand I recall eating for years, but usually their crunchy bars, perfect snacks on the go, so I when I was sent some of their cereals to try, I was keen to see if they tasted as good as their bars. 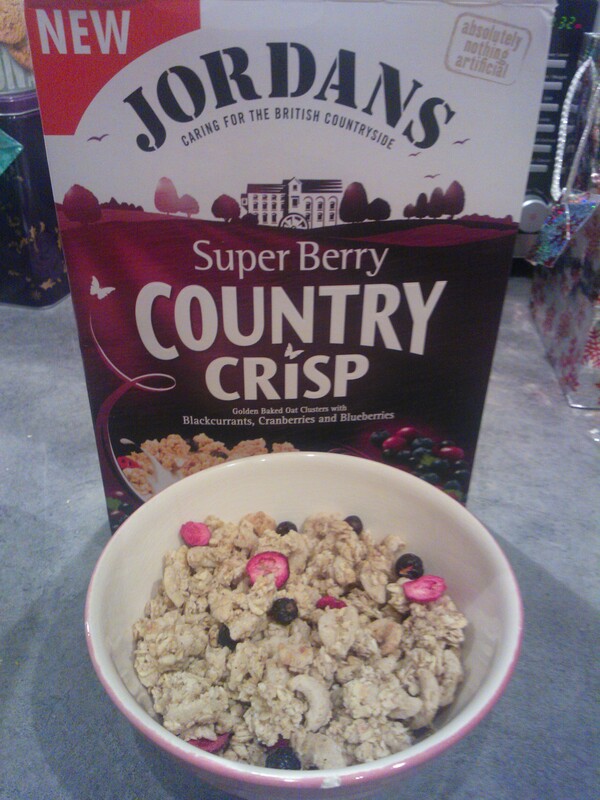 My husband was keen to try the Super Berry Country Crisp. Made with wholegrain oats and mixed with blackcurrants, cranberries and blueberries this is a really tasty, filling cereal. The crunchy clusters are delicious, and my husband thought there was a nice zing as he bit through the fruit in each mouthful. The box didn’t last very long which is a sure sign as to how moreish this cereal is. Working shifts, my husband found this the perfect snack when coming home late at night as well as for breakfast in the morning. 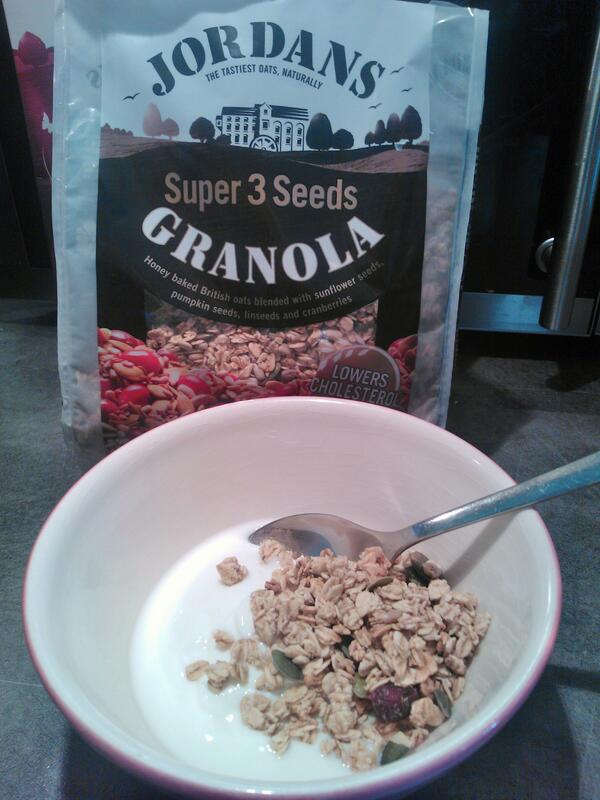 I was keen to try the Super 3 Seed’s Granola, a really delicious looking granola with not too much fruit (something I’m not too keen on in cereal). Being on a healthy eating plan at the moment I thought this would work perfectly with some low fat natural yoghurt. Well all I can say is this is perfect, a great crunch, I love all the included seeds (pumpkin, sunflower and linseed) and the odd burst of cranberry was nice. This has now become my staple breakfast, one that is quick and simple to prepare, totally delicious and contains a lot of healthy ingredients. It also helps lower cholesterol too! We’ve really enjoyed trying the new additions to the Jordans cereal range and will definitely be buying them in the future. The Jordans website also has lots of wonderful recipes you can make using their products, all of which look very yummy!! I was going to try one with my granola, but after tasting it with yoghurt I decided to keep this pack for breakfasts, but I may try a recipe or two in the future.